As a composer, Eric Michael Czechowski has written music for shows including Oprah, CBS's Guiding Light and As the World Turns, and OWN's The Laura Berman Show, as well as production libraries across the world. Towards the beginning of his career in Nashville, he was featured in Billboard magazine (click for picture) following his signing as a composer with four-time Emmy™ winner Brian D. Siewert's production library. 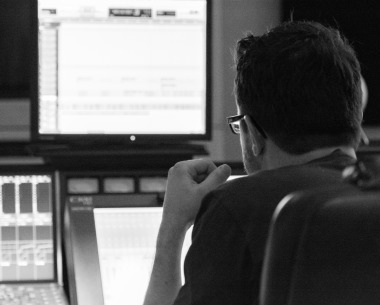 Eric offers both custom and pre-score composition in all genres of music, both for live performance and as recorded production music.